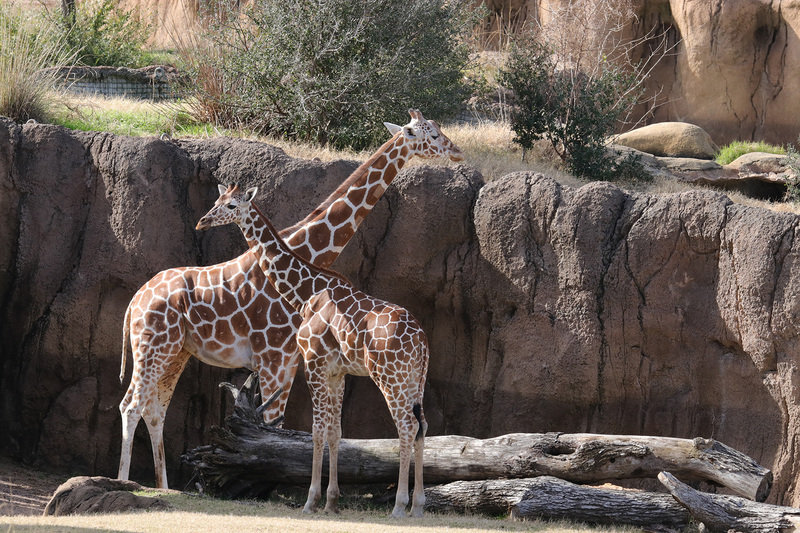 Witten and his mom enjoy a January day in the North Savanna habitat. It’s 7 a.m. on a chilly January morning. Lisa Fitzgerald and her team are huddled around a table for their daily status meeting. There were no stops for coffee on their way into work this morning. No hitting the snooze button. No late starts. They can’t. That’s because they have ten hungry giraffe, five kudu, four ostriches and 14 guinea fowl depending on them, regardless of the weather or time of year. But they’re not complaining – they love these animals and are some of the most passionate, dedicated people you’ll ever encounter. 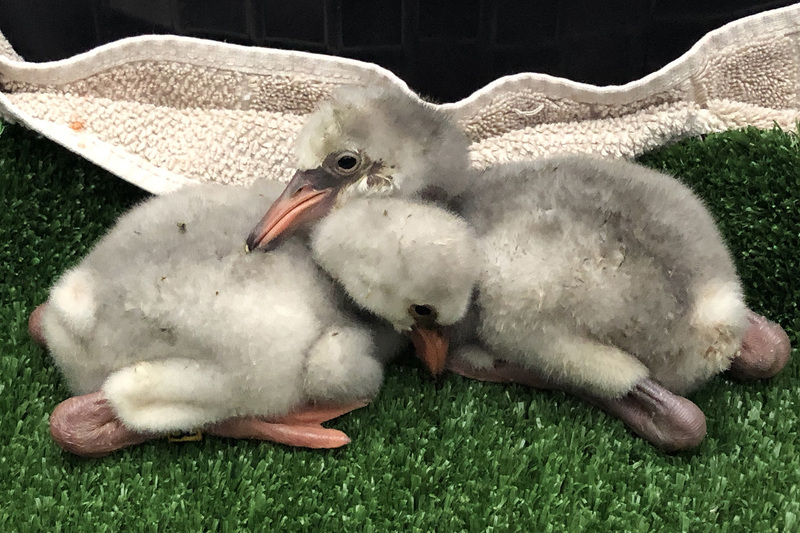 This is an inside look at how just one of our many teams of zookeepers provide the highest level of care to the 2,000-plus animals of the Dallas Zoo – 24 hours a day, seven days a week, 365 days a year. The first item on their to-do list in the morning is to get a visual on each and every animal. The team of 12 keepers splits up into two groups – one team handles the giraffe herd, the other takes care of the hoofstock and birds. As they walk their respective barns, the keepers take note of anything that seems off or may have changed overnight. On a chilly night, all the animals remain indoors in their cozy, heated barns. Keepers preparing morning meals for our giraffe herd. Next step is morning meals for everyone. Each species (and in some cases, each individual animal) receives specialized diets according to their needs. Keepers lug huge bowls full of spinach and pellets in for the ostriches at one barn. 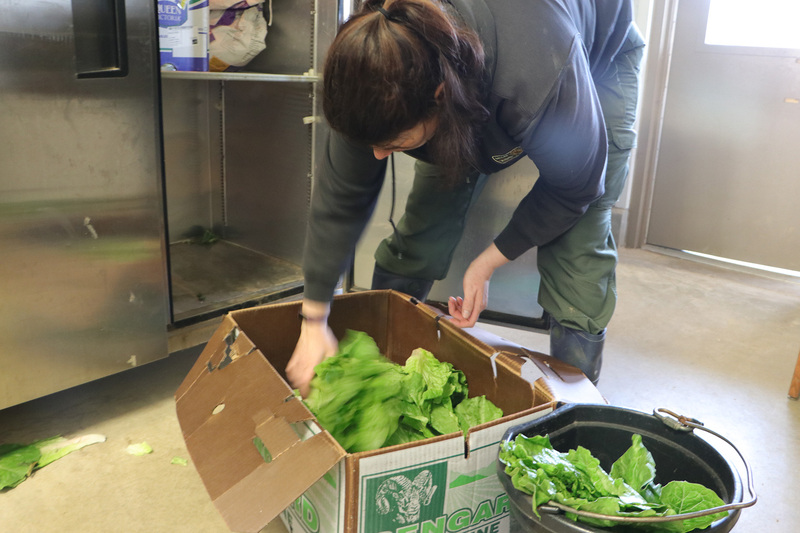 Simultaneously, another keeper prepares fresh produce for the giraffe in the other barn. The habitats then need to be prepared for the animals to go out for the day, if weather allows. In case of freezing temperatures or inclement weather, most animals will remain in the comfort of their barns. 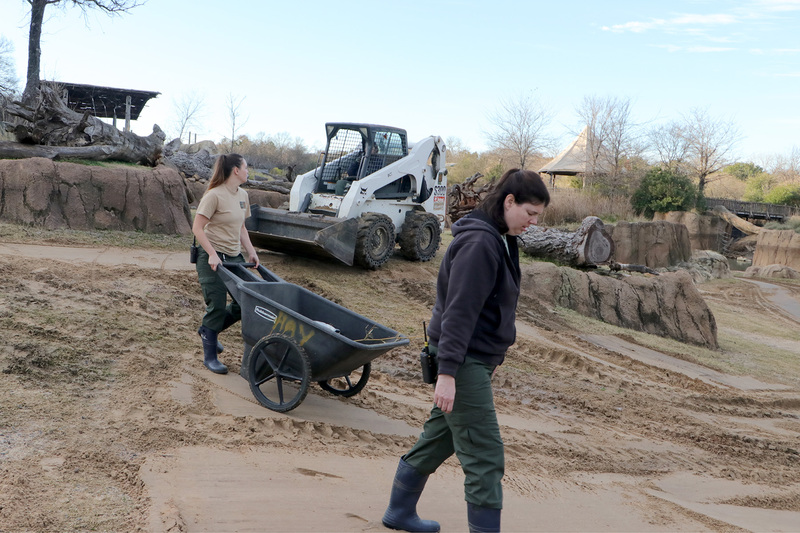 Since the North Savanna is home to several different species, the whole team helps with this step. They walk the entire expansive habitat to check for hazards like fallen trees or litter that may have made its way in. Once that’s done and any hazards have been cleared, they scatter food and enrichment items for the animals to enjoy throughout the day. Keepers getting the habitat ready for the animals to go out for the day. Shifting – what is that? 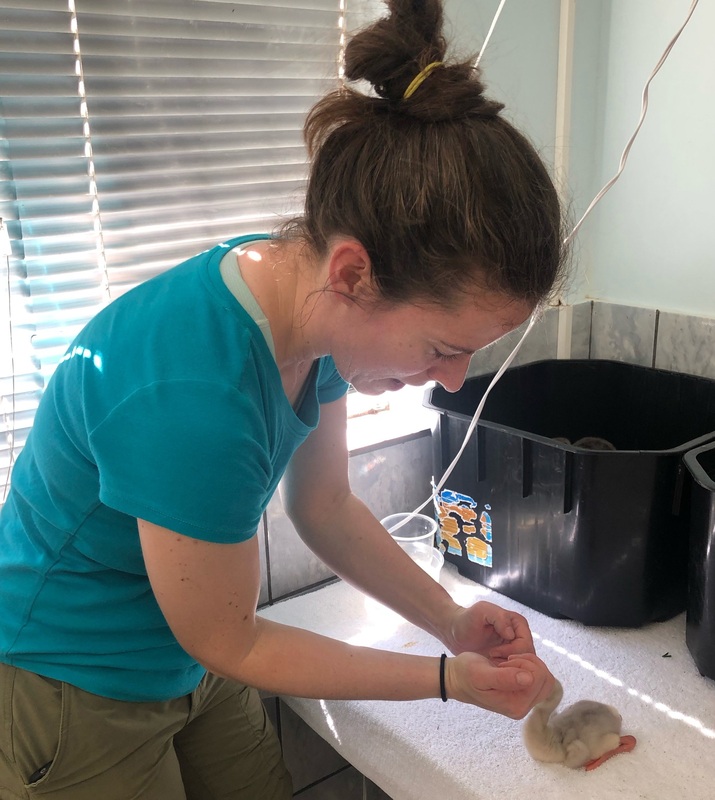 In the world of zookeepers, moving the animals from one place to another is referred to as “shifting.” But this doesn’t happen unless the animals are willing participants. 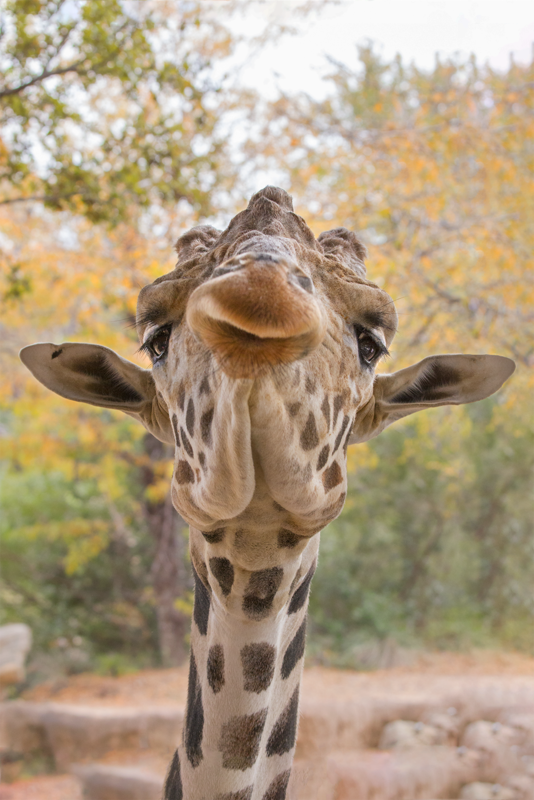 You can’t make a 17-foot tall, 2,500-pound giraffe do anything he doesn’t want to do. Getting animals comfortable with shifting takes time, patience and relationship-building. They’re given tons of positive reinforcement and treats each time they choose to participate. 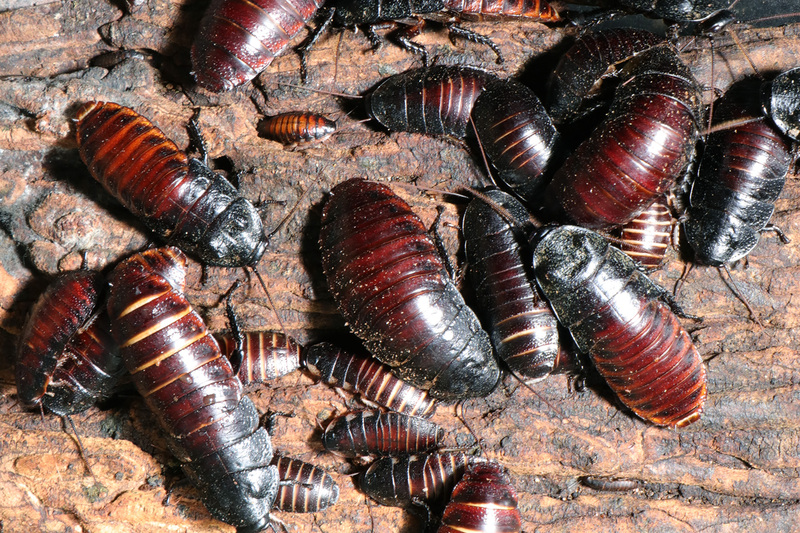 Shifting four different species is no easy feat, but the keepers have it down to a science. Ostriches are the first out, and they go right to their stations where fresh spinach treats await them. Next are the kudu, who follow suit and wait patiently at their designated station as keepers feed them romaine lettuce. Then come the giraffe who are split into two groups – one goes out to the feeding habitat, and one to the larger Savanna habitat. Both groups are greeted with romaine and carrots to keep them at their stations until all is done. Finally, the guinea fowl follow suit. Once every animal has left the barns, the gates are closed and the animals are free to roam the expansive Savanna and enjoy their day. Keepers then will clean up the barns and prepare for the animals to come back inside at the end of the day. 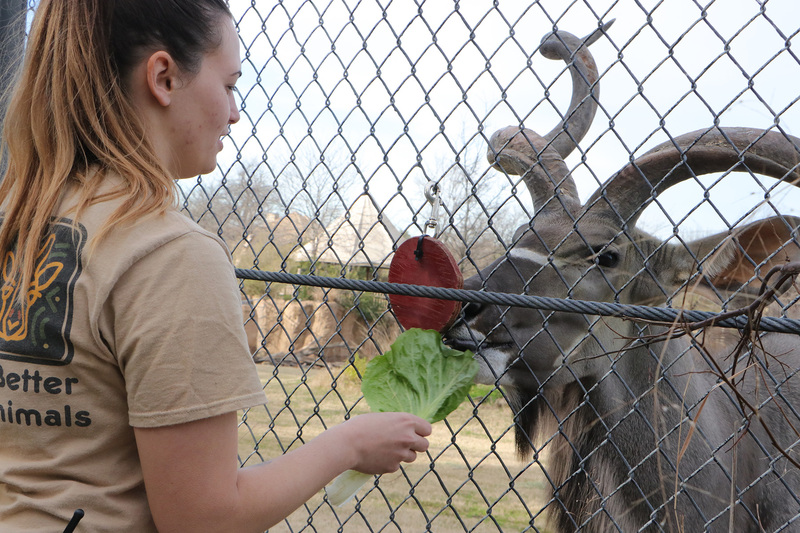 Beau the kudu receives a lettuce treat (aka positive reinforcement) for choosing to go to his station during shifting. 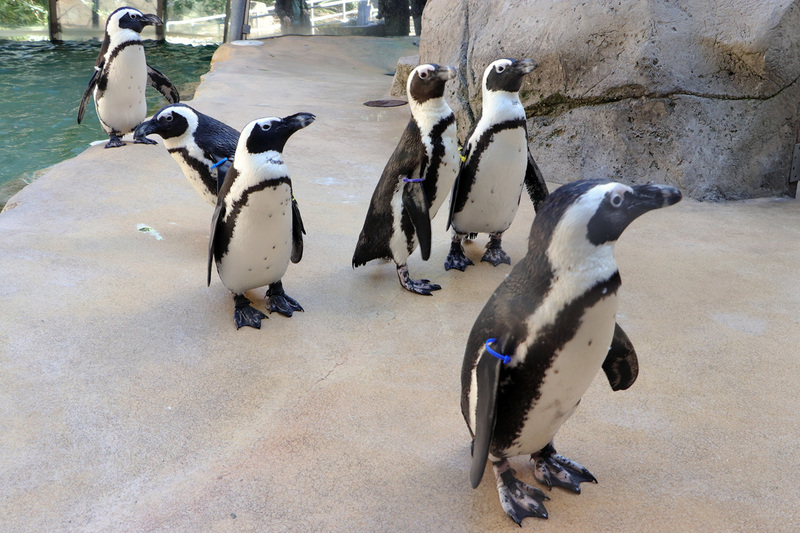 The team may also hold a few animals back to work on training behaviors for routine health checks and more. Training is an essential part of their daily routine and helps reinforce their relationship with the animals they care for. 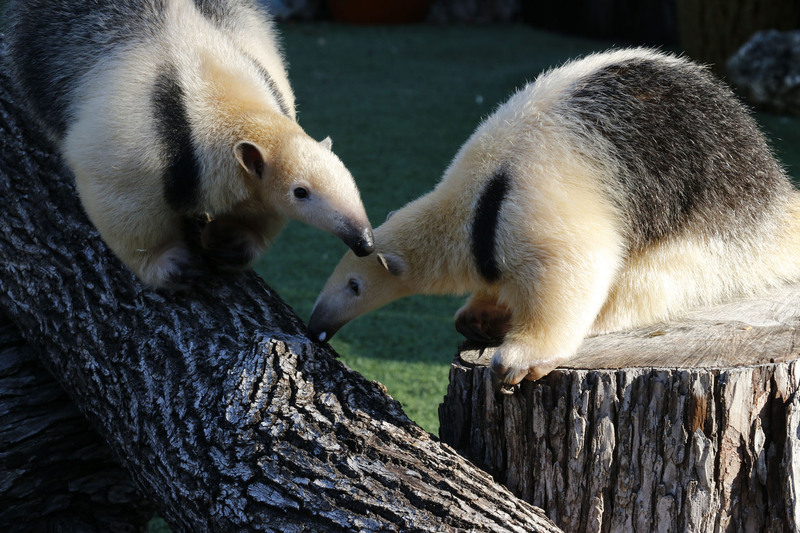 In addition, our keepers contribute to animal research and help develop best practices for accredited zoos around the country. Their days are long but rewarding in every sense. Once the Zoo is closed to the public, it’s time to bring everyone back inside. Before they know it, the keepers’ ten-hour day is over and they leave “the office” knowing their work has made an impact caring for some of the most majestic animals on earth. They’re excited to wake up and do it all again tomorrow. Princess Honeydew enjoys a special birthday treat made by her keepers. 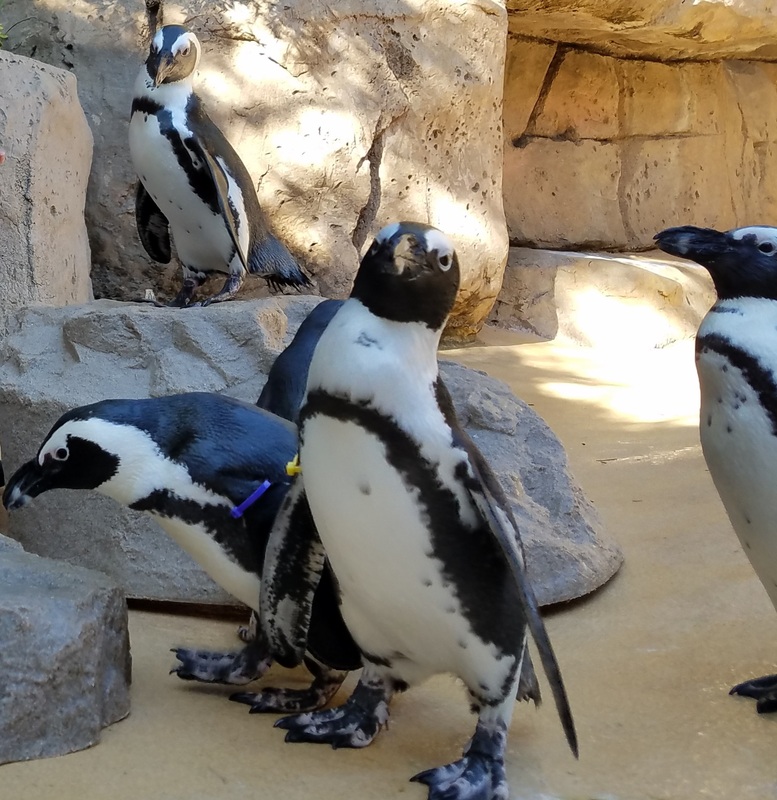 When some of our animals reach retirement age and are no longer comfortable shifting in and out of their habitats, we move them to a special home designed for their comfort, where dedicated keepers care for their every need away from the public eye. 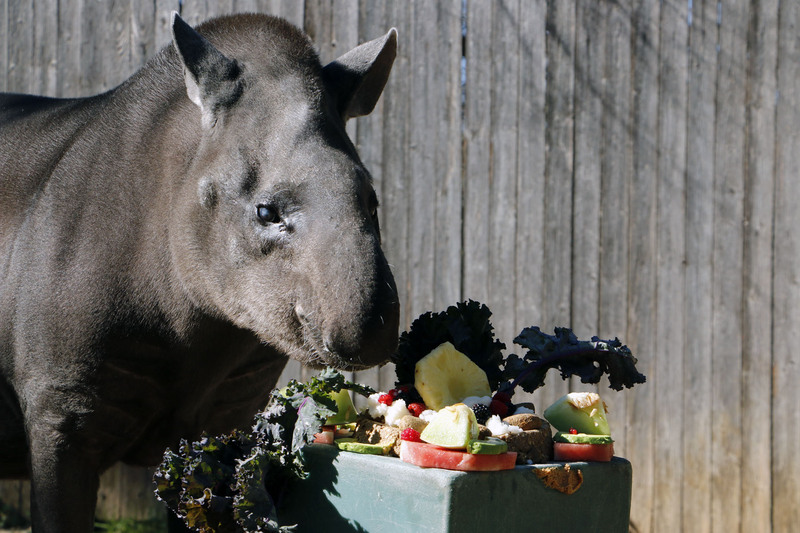 Our beloved South American tapir Honeydew lived her golden years behind the scenes where she was pampered daily. 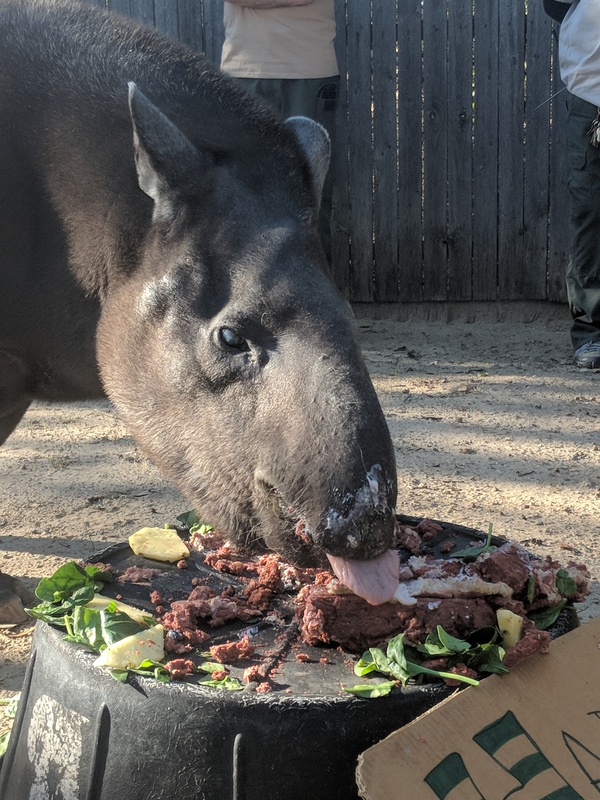 She recently passed away due to age-related health issues – and impressively, she lived to be the nation’s oldest tapir in the Association of Zoos and Aquariums. Honeydew would have celebrated her 38th birthday this month. Lovingly referred to as “Princess” Honeydew, she received the royal treatment from her keepers, who went above and beyond to ensure she had the best possible care throughout her geriatric years. And her birthday is one they’d never forget. Her care team was diligent about making her indulgent birthday cakes each year to show her just how much she was loved. 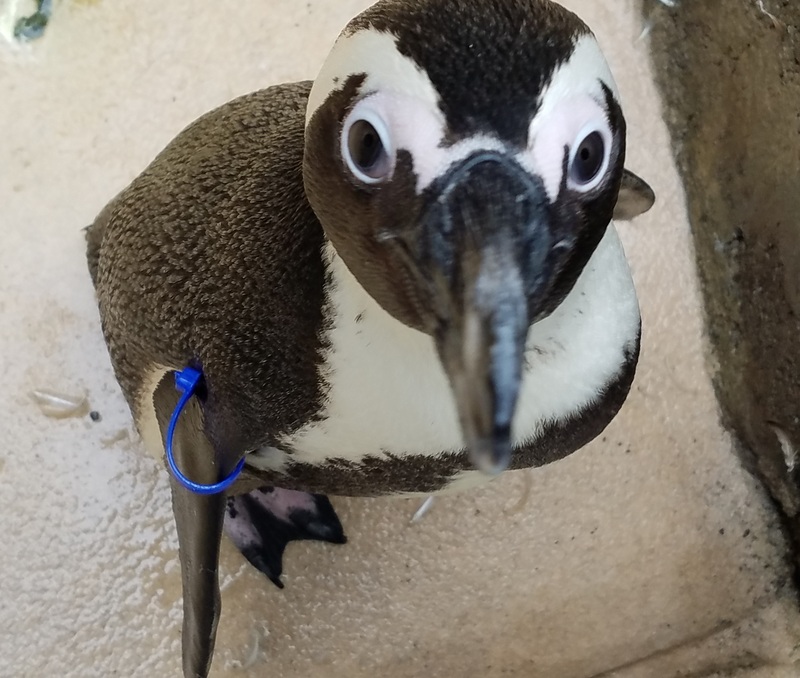 Honeydew was also constantly pampered with brushes, baths, special foot care, leisurely swims in her personal pool, and of course tons of love and attention. Another fun birthday moment. Just look at that snoot! She would dramatically flop over for belly rubs, which were her favorite. You could tell when she was really happy when she would close her eyes and wrinkle up her snout. She would get wild and excited when it was bath time. Her snoot. It was always moving, smelling, exploring and seeing what trouble she could get into. She LOVED visitors and thrived off of attention. The more we doted on her, the happier Princess Honeydew was. Animals like her define zookeepers. It didn’t matter if you had been her keeper for years or you just met her, she made an impression. Our keepers were always willing to give her their hearts and do whatever she needed, and we couldn’t be more proud of that! Honeydew will be dearly missed by all of us at the Dallas Zoo.